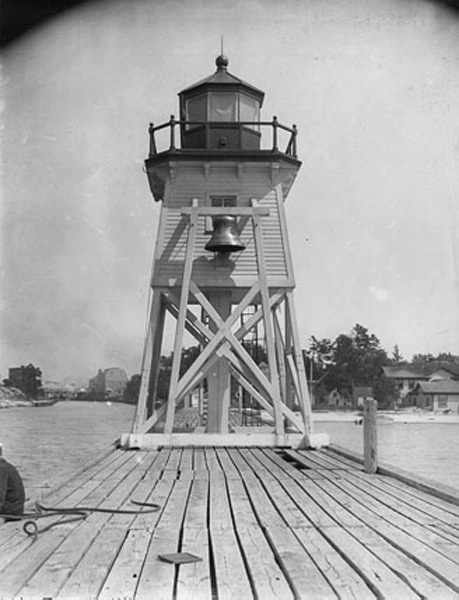 Charlevoix South Pierhead Lighthouse in with wooden tower and fog bell. View with the catwalk extending back from the lighthouse. 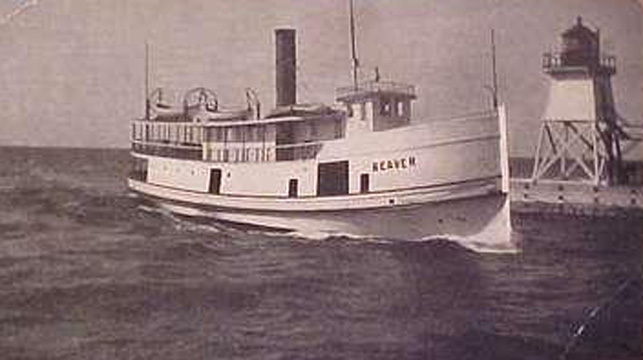 One of the early original Beaver Island ferry boats passing the lighthouse. 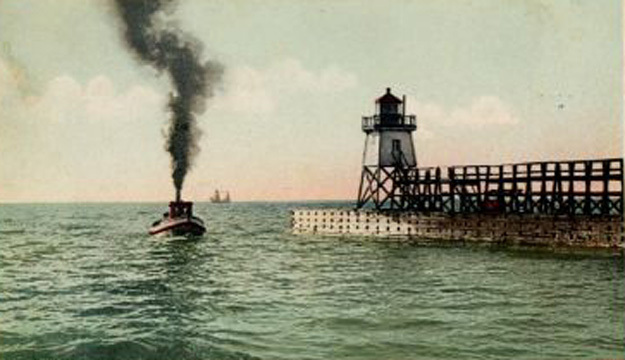 The tower on the south pier and painted red. 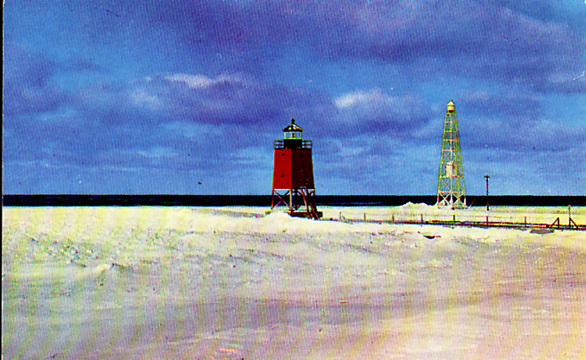 Notice the north pierhead skeletal tower that is no longer there. 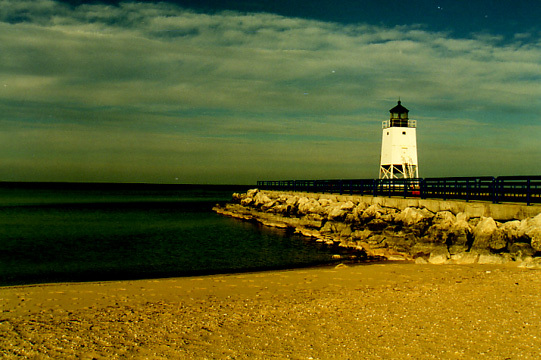 The lighthouse as it is today. 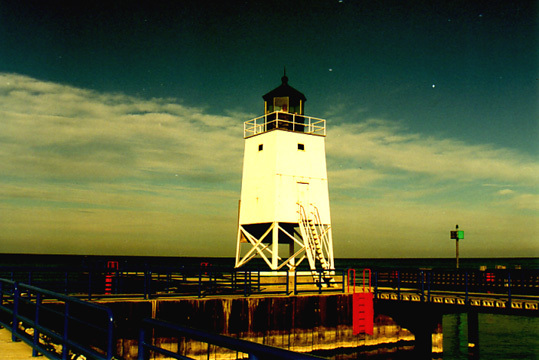 Copyright © 2001-2008 Michigan Lighthouse Conservancy. All rights reserved.